Each of our waterproofing systems offers particular benefits, and we understand that many clients will need advice and guidance in selecting the best option. Integral Roofing Maintenance Services Ltd work with the industry’s leading manufacturers and has a dedicated in-house technical team that can survey and analyse your roof and provide ongoing specification support! 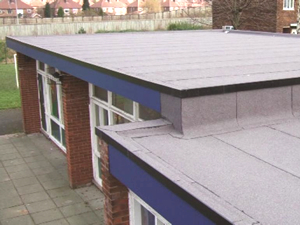 We are specially placed to offer independent, professional advice, ensuring that the best long-term solution is specified for the unique requirements of your roof! In order to ensure that the perfect waterproofing solution is specified for your project, Integral Roofing Maintenance Services Ltd can carry out an in-depth, professional survey to assess the state of the current roof. We will then produce a comprehensive, independent report which details our findings along with associated drawings, calculations and photographic evidence. This will enable you to make an informed decision, based on evidence and our impartial advice. At Integral Roofing Maintenance Services Ltd we recognise the importance of achieving the highest levels of health and safety standards on site. Our commitment in this area is borne out by the fact that we have a dedicated Health and Safety Manager, and a detailed policy that is regularly reviewed, communicated and actioned by all employees. The quality of our people, our workmanship and our procedures is fully backed up by an array of recognised industry accreditations. In addition, we are active members of the leading trade associations, playing an active role in helping to ensure continuing improvements and the highest standards in the industry.